College Admissions Assistance, LLC (CAA) does not sell, trade, or otherwise transfer to outside parties your personally identifiable information. This does not include trusted third parties who assist us in operating our website, conducting our business, or servicing you, so long as those parties agree to keep this information confidential. This also does not include the sharing of information with affiliate organizations, or colleges at the request of the student, parent or guardian. We may also release your information when we believe release is appropriate to comply with the law, enforce our site policies, or protect our or others’ rights, property, or safety. However, non-personally identifiable visitor information may be provided to other parties for marketing, advertising, or other uses. We collect information from you when you confirm your reservation at a workshop, at the time you decide to purchase the services offered by CAA, and when you provide any information about yourself through forms, surveys and questionnaires after you have purchased our services. Information may also be gathered through interaction with CAA coaches over the telephone or via electronic communication. When enrolling in our service you will be asked to provide your: name, e-mail address, mailing address, phone number and/or form of payment information. You will also be asked to provide contact information for your student or students that you are enrolling in the CAA Program. Once you become a customer, what do we use your information for? The email address you provided during enrollment, may be used to send you information and updates pertaining to enrollment in our program, in addition to receiving occasional updates, related product or service information, etc. Information received from you may or may not be visible or accessible through our website. We implement a variety of security measures to maintain the safety of your personal information when you place an order or enter, submit, or access your personal information. We offer the use of a secure server. All supplied sensitive/credit information is transmitted via Secure Socket Layer (SSL) technology and then encrypted into our Payment gateway provider’s database to be accessible only to those authorized with special access rights to such systems, and are required to keep the information confidential. After a transaction, your private information (credit cards, social security numbers) may be kept on file for more than 60 days in order to make recurring payments if you’ve chosen a payment plan option. Because we value your privacy we have taken the necessary precautions to be in compliance with the California Online Privacy Protection Act. We therefore will not distribute your personal information to non-affiliated parties without your consent. As part of the California Online Privacy Protection Act, all users of our site may make any changes to their information at anytime by logging into their personal dashboard and going to the ‘Personal Info’ page. This website is comprised of various websites and web pages operated by College Admissions Assistance, LLC. or its affiliates (collectively, the “CAA Websites”). The contents of the CAA Websites, such as text, graphics, images and other material (“Material”), are protected under United States and foreign laws. Unauthorized use of the Material may violate copyright, trademark and other laws. 1) Permission is granted to temporarily access the Material on CAA Websites for personal, non-commercial purposes only. This is a grant of a license, not a transfer of title, and under this license you may not: copy, reproduce, modify or create derivative works from the Material except as specifically provided above; use the Material for any commercial purpose, or for any public display (commercial or non-commercial); attempt to decompile or reverse engineer any software contained on CAA Websites; remove any copyright or other proprietary notations from the Material; transfer the Material or access to the Material to another person who has not been licensed to use Material, or “mirror” the Material on any other server. You may not copy or adapt the development code that CAA creates to generate its pages. It is also protected by CAA trademark. ALL MATERIAL ON CAA WEBSITES IS PROVIDED “AS IS.” CAA MAKES NO WARRANTIES, EXPRESS OR IMPLIED, AND EXPRESSLY DISCLAIMS AND NEGATES ALL OTHER WARRANTIES INCLUDING, WITHOUT LIMITATION, IMPLIED WARRANTIES OR CONDITIONS OF MERCHANTABILITY, FITNESS FOR A PARTICULAR PURPOSE, OR NON-INFRINGEMENT OF INTELLECTUAL PROPERTY OR OTHER VIOLATION OF RIGHTS. FURTHER, CAA DOES NOT WARRANT OR MAKE ANY REPRESENTATIONS CONCERNING THE ACCURACY, LIKELY RESULTS OR RELIABILITY OF THE USE OF THE MATERIAL OR OTHERWISE RELATING TO SUCH MATERIAL OR ANY MATERIAL ON ANY SITES LINKED TO THE CAA WEBSITES. CAA DOES NOT WARRANT THAT THE CAA WEBSITES WILL OPERATE ERROR-FREE OR THAT THE CAA WEBSITES AND ITS SERVER ARE FREE OF COMPUTER VIRUSES OR OTHER HARMFUL MECHANISMS. 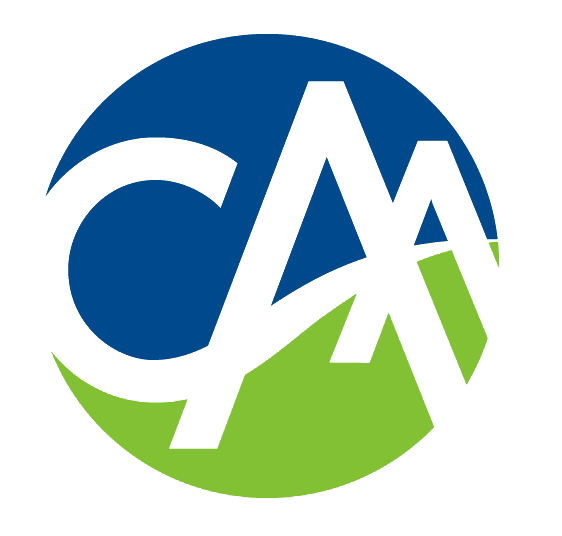 IF YOUR USE OF THE CAA WEBSITES AND THE MATERIAL RESULTS IN THE NEED FOR SERVICING OR REPLACING EQUIPMENT OR DATA, CAA IS NOT RESPONSIBLE FOR THESE COSTS. IN NO EVENT WILL CAA OR ITS SUPPLIERS BE LIABLE FOR ANY DAMAGES (INCLUDING, WITHOUT LIMITATION, DAMAGES FOR LOSS OF DATA OR PROFIT, OR DUE TO BUSINESS INTERRUPTION) ARISING OUT OF THE USE OR INABILITY TO USE THE MATERIAL, EVEN IF CAA OR AN AUTHORIZED REPRESENTATIVE HAS BEEN NOTIFIED ORALLY OR IN WRITING OF THE POSSIBILITY OF SUCH DAMAGE. FURTHER, IN NO EVENT WILL CAA OR ITS SUPPLIERS BE LIABLE FOR ANY DAMAGES ARISING OUT OF AN INABILITY TO ACCESS ALL CLIENT/PARENT/STUDENT INFORMATION ON THE WEBSITE. The Material could include technical, typographical or photographic errors. CAA does not warrant that any of the Material is accurate, complete or current. CAA may make changes to the Material at any time without notice. CAA does not, however, make any commitment to update the Material. CAA has not reviewed all the sites linked to CAA Websites and is not responsible for the contents of any such linked sites. These links are provided solely as a convenience to you. Use of any such linked website is at the user’s own risk. All contents of CAA Websites are the sole possession of CAA and its affiliated companies, suppliers, and third-party partners. Any correspondence should be directed to College Admissions Assistance, LLC: 200 South Virginia Street, 8th Floor, Reno, Nevada 89501 or to info@caaconnect.com. SAT is a registered trademark of The College Board. PSAT/NMSQT is a registered trademark of the College Board and the National Merit Scholarship Corporation. ACT is a registered trademark of ACT, Inc. TestGEAR, Choices Planner and Choices Explorer are registered and unregistered trademarks of Bridges Transitions Inc., used under license by CAA, All rights reserved. TutorVista is a trademark of TutorVista Corporation, used under license by CAA. Do What You Are and Learning Style Inventory are unregistered trademarks of Human eSources, used under license by CAA. All rights reserved and products mentioned herein may be the trademarks of their respective owners. CAA offers a fee for service that cannot be used for any other purpose besides its intended use and only by the individual listed on the contract as the user of the services. This use is non-transferrable. Any violations may be prosecuted under the law. Any rights not expressly granted herein are reserved. The Children’s Online Privacy Protection Act (“COPPA”) requires that we inform parents and legal guardians about how we collect, use, and disclose personal information from children under 13 years of age; and that we obtain the consent of parents and guardians in order for children under 13 years of age to use certain features of our Website and services. Below we explain how we do that for these “student clients.” Also, when we use the term “parent” below, we mean to include legal guardians. How do we use and share the personally identifiable information that we have collected about students? Personal information regarding a student may be collected and used to enable a student’s participation in certain interactive features that we enable through third parties. These activities may involve disclosure of a student’s personal information to third parties. We will not share a student’s personal information with those third parties without a parent’s permission. In addition, we may share a student’s personal information with third parties to the extent reasonably necessary to: protect the security or integrity of our sites; to take precautions against liability; to respond to judicial process; or to the extent permitted under provisions of law, to provide information to law enforcement agencies or for an investigation related to public safety. How do we notify and obtain consent from parents for the collection of information from their students? We require parent permission when their student registers. If the parent refuses to allow the student’s registration and entry, we will not accept the student as a client. How can parents access, change or delete personally identifiable information about their students? At any time parents can access, change or delete certain personal information about the student and can request that certain personal information we have collected be deleted from our records. We use two methods to allow parents to access, change, or delete the personally identifiable information that we have collected from their students. 1. A parent can access, change, or delete his or her student’s personal information by logging on to the student’s account located at caa.launchpadadvantage.com. There are instructions on the Your Account home page explaining how to recover a password if the student has forgotten it. 2. A parent can contact our customer service department to access, change, or delete the personal information that we have collected from his or her student by sending an e-mail to info@caaconnect.com. Please include the student’s member name and the parent’s e-mail address in the e-mail so that we can better assist you with your inquiry or request.